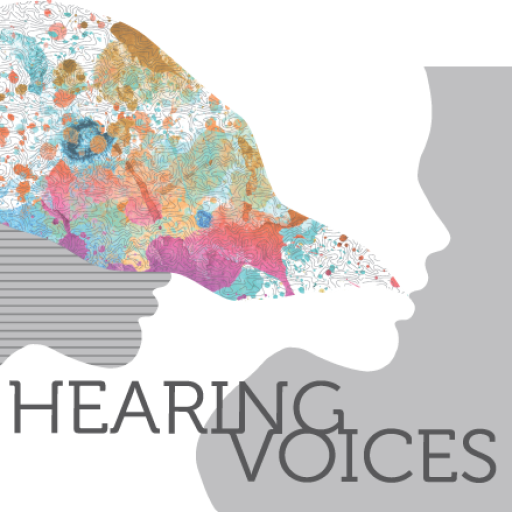 This exhibition was supported by the Wellcome Trust’s Provision for Public Engagement, as part of a Collaborative Award in Humanities and Social Sciences awarded to Hearing the Voice (108720/Z/15/Z). Durham University would like to thank the Wellcome Trust for their generous support. This exhibition has been made possible by the provision of insurance through the Government Indemnity Scheme. Durham University would like to thank HM Government for providing Government Indemnity and the Department for Culture, Media and Sport and Arts Council England for arranging the indemnity. Contributors: Victoria Hume, Paul Baker, Rachel Waddingham, Mary Robson, Sarah Matiland, Gillian Allnut, Andrea Rangecroft and David Napthine. Particular thanks go to the exhibition’s Steering Group for their knowledge and expertise: Paul Baker, Alisdair Cameron, Ron Coleman, Dirk Corstens, Jacqui Dillon, Sandra Escher, Giles Hallam, Fiona MacCallum, Marius Romme, Karen Taylor and Rachel Waddingham. We are also indebted to the many voice-hearers across the world who shared their experiences and stories and made this exhibition possible. Durham University academic staff: Ben Alderson-Day, Marco Bernini, Christopher Cook, Peter Garrett, Adam Powell, Hilary Powell, Peter Moseley, Sam Wilkinson and the wider Hearing the Voice team.